Are you confused about the rules on growing weed in California? I’m pretty sure that is by design. Being that marijuana legalization is still pretty new, in many states the rules are quite vague. I’m no lawyer, but I have gathered some info in the hope that you’ll learn what you need to know about marijuana growing laws in California. However, if you need more information, you probably should talk to a lawyer. I’ll also share some basics on California’s medical marijuana program as well as a timeline of all the changes in marijuana law. It isn’t always about the rules, though, that’s why you will find some weed growing etiquette advice as well. Keep reading to learn about growing in the great state of Cali. California can now legally grow up to six marijuana plants at home, including all of the harvest from those plants. Every adult Californian can now legally grow marijuana. Based on California’s history, this is likely an event that was destined to occur. Still, before you get started growing; there are some rules. And don’t forget, know what you are doing! Grab Robert’s free grow guide, the Marijuana Grow Bible, before growing in California. Of course, those were the basics. Now I’ll go in more detail about each point. Hey, it’s a fun science project. The current law is clear that it is an adult sport. This is probably the clearest part of the new law. It says six plants, regardless of their stage in the growing process. Many other states allow adults to have additional plants that are not already flowering – California does not. Without a doubt, this rule is likely due to environmentalists concerns over widespread home growing impacting the water supply. Therefore, everyone needs to be conservative in their weed growing. Once again, a single person can only grow six plants. While this rule may be a bummer to some, it’s not that big of a deal. After all, do you know how much weed you can yield from six plants? You’ll be fine – especially if you use advanced growing techniques like those taught in this blog… Plan ahead and store your weed well, and you’ll have plenty to cook with. When limited to six plants you want to consider which plants to grow. Another key point: just because growing is legal in California, it’s still a personal privilege that should be kept private. Sorry, guys, it’s still not a good idea to reality show your grow. In a similar fashion, you should only be growing in your own home or on your property. People should not be able to see your plants unless you live in a place that doesn’t care and it’s just your neighbors – and they don’t mind. For the most part, it seems reasonable that you should be able to grow in your backyard, however even that may be a problem. If you are growing openly in your backyard and you live next to someplace public, like a park, that is, in fact, illegal. Great news; you can grow as much weed as you want from your six plants! But there’s a catch. You can’t carry it around. At any given time, you can only have 28.5 grams of marijuana. Seeing that this equals an ounce, this should not be a problem for most people. On the positive side, this does not apply to weed from your personal harvest. You can keep all of that. However, if you give away any of it, you can only take 28.5 grams of it out of your house. Want to grow premium Amsterdam genetics in California? Visit the ILGM seed bank, we ship to California for free! If you don’t already own a scale, invest in one. If you grow six plants, you will have much more than 28.5 grams. To stay legal, make sure you aren’t carrying too much at one time. Although it is now legal, many California home growers may need to stay stealth. There are cities and towns in California that are prohibiting marijuana growing. They are allowed to do that by this law. If you live in one of those areas, you cannot grow outdoors unless no one knows you are doing it. If they can tell you’re growing weed, you have broken the law. The law also says cities and towns cannot keep you from growing marijuana inside your home. This includes rental homes and apartments. If you are a renter, follow the rule of keeping your growing personal, and you will stay legal. California growing laws are highly defined, like California wine. Although they are more restrictive than other states, they also give a lot of rights to home growers. To repeat, if you need help, talk to a lawyer. The right to grow weed at home is vital for many Californians. However, some things can get you in trouble, and likely piss off at least one of your neighbors. Starting in 2018, medical card holders will not pay sales tax on retail weed. However, legalization may still be bad for medical users as it may restrict the availability of certain medical strains based on demand. This happened in neighboring recreational states. So, if you use medical strains, it is probably a good idea to start growing them now, before the supply diminishes (if you aren’t already). California was well known for its medical marijuana program, and many California patients enjoyed the benefits of growing their own weed for medication. The state led the medical marijuana movement in the United States, with many states following their lead. The California program is approved for HIV/AIDS, Cancer, MS, epilepsy, Glaucoma, Chronic or unmanageable pain, Cachexia, Arthritis, and Migraines. in the past, you didn’t necessarily need a medical marijuana ID card to grow, but if you did, you risked getting arrested for illegal growing. Talk to a doctor about your condition. A doctor will need to write a recommendation. To find a California doctor, visit CANORML. Purchase I Love Growing Marijuana has a large selection of marijuana seeds to choose from. Check local Growing Rules. California Weed growing laws vary by city and county. Check the rules in your area here. You don’t need a medical marijuana card to grow California weed. Previously the card was useful for protecting growers from arrest. Patients and caregivers could register for the card with the state and show it to police in the event of possible arrest. For patients who prefer to remain anonymous, some nonprofits, as well as a few prescribing doctors, offer medical cards that are not registered with the state. These cards can provide proof of medical need but may not prevent a police officer from taking your weed. Growing marijuana in California used to be straightforward for those with medical approval. Before legalization, there weren’t actual limits on how much weed can be grown. This was unique to California. If you have a medical need to grow marijuana, the state assumed you will grow as much as you need. This wasn’t popular with everyone, however. Some areas in California challenged the idea, making it illegal to grow, or limiting collective grows. But for the most part, you were okay to grow if a doctor said so. As a matter of fact, California weed growing was so popular that you could find advertisements for professional weed trimmer years before legalization! Of course, if you follow the advice in the Marijuana Grow Bible, you can save some money and do it yourself. 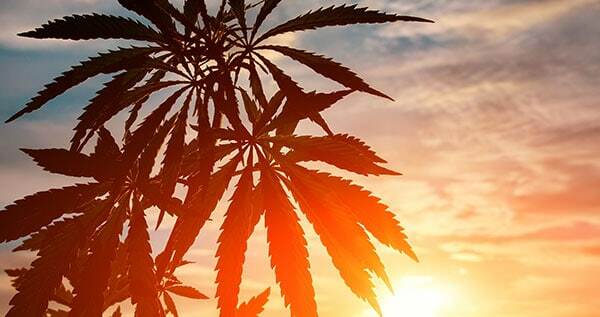 Growing marijuana in California has been a thing for a while; so, it should be no surprise that there is still some confusion about how many plants medical users can grow. There is one thing that you do not want to do as a marijuana grower in California. It should be obvious, but you should not try to sell your marijuana. If you happen to sell your weed to a kid, you are facing felony charges. You also could be sued by the family member or employer of the person you sold it to. If you want to sell weed legally, go through the appropriate channels to be a legal marijuana business. While you can buy seeds in some parts of California, they are not available throughout the state. As with most things, you’ll also find a greater selection online. Even more, the process will be discrete. Buy the best seeds for discrete marijuana growing online. Click here if you live in California and want to buy marijuana seeds. October 2016 – California marijuana legalization campaign launches a TV ad communicating responsible use and safeguards. The rules around growing marijuana have gone through a lot of changes in the past few years, and they are continuing to evolve. To stay out of trouble, you need to keep up with the local news and stay discrete. Living in California has its benefits, so why not enjoy them! Where can I find a lawyer? Check out the NORML website or peruse this article. How do I grow discretely? Download the Grow Bible or read this article. How do I start a legal Marijuana business? There are many steps, but you can get an idea of what you’ll need in this article. If I get in trouble what are the typical charges? Most marijuana offenses in California are now misdemeanors. You can read the full law here. Hi Mike, your case is quite specific and I wouldn't dare give you advise. Best check with local authorities on this. Mike, depending on your county there may be restrictions. Under prop 64, as long as its not visible to the public you are ok. Thanks! I finally found some updated info for California and it looks like retail permits will not be available until January 1st 2018 and they don't have any info on the cost of it at this time. Lee, you cant sell it yet but you can get paid to set up small scale 6 plant grows for others. Figure the cost then double it and you can make a good business. Are you allowed to grow in California if you own firearms? Who might have legal issues with it, ex. police or Feds? Can firearms be stored in an unconnected garage? Hey Andre, there's a lot of talk about gun permits and marijuana use. I'm not sure what the latest status is. Best check up with your local authorities. Very clear instructions. Thank you Admin. Also, rule number one, don't tell anyone your'e growing!You can't trust people nowadays! "California is unique in that there is no limit on the amount of marijuana you can grow." 2. "The legal limit is 6 plants for medical purposes per person." Huh??? I live on 10 acres and have some renters that stay on the property also. Let's say 6 adults live here...are we allowed 36 plants? What about in tehama county I can't seem to find the laws for my county "can I do six outdoors"
Is a green house ok in CA I read in an enclosed structure ? What is the consequence of growing a single plant outdoors in a locked yard obscured from public view? Fine? Charges? In SoCal. Can you grow in an RV if its your primary residence? In California? If you have a charge for weed in another state and complete your probationary period and move to California and owner property's can you still get a grow card? How does the law effect the amount of plants medical patients can grow? My city in So. Cal bans growing weed outdoors. But is a greenhouse in the yard considered indoors? cisco, If your state allows you to have 99 plants; "That says it all". Happy growing. Can you grow plants in California if you have children in the home part time? If you are growing in your RV? Wendy, Yes you can; However, it is best to check your state laws and especially County, City, and Townships. IN Cali... each local government can change restrictions or whatever, whenever they want. Hope it all works out. Hey, I'd like to know if I can ask someone to grow my plants for me (for money) as I don't have the time and don't know how to do it. Thanks for the forum. I have a question can my wife and I grow 6 plants in our home ? for a total of 12? We are truly sorry, we overlooked and forgot to update the last part. We will look in to it and update it shortly! What steps and processes do I have to go through to legally sell my weed to dispensaries? Hello, I was curious to know whether or not it is currently legal for someone to pay rent to grow their plants in a warehouse?